Representatives from Tranco Industrial Services recently attended the AIST Expo in Pittsburgh, Pennsylvania. Bill Lucaitis, President of Tranco, said, "The AIST Expo was a great opportunity to meet with our clients and attend the educational sessions held throughout the event. We learned a lot, and shared some of our knowledge with others. 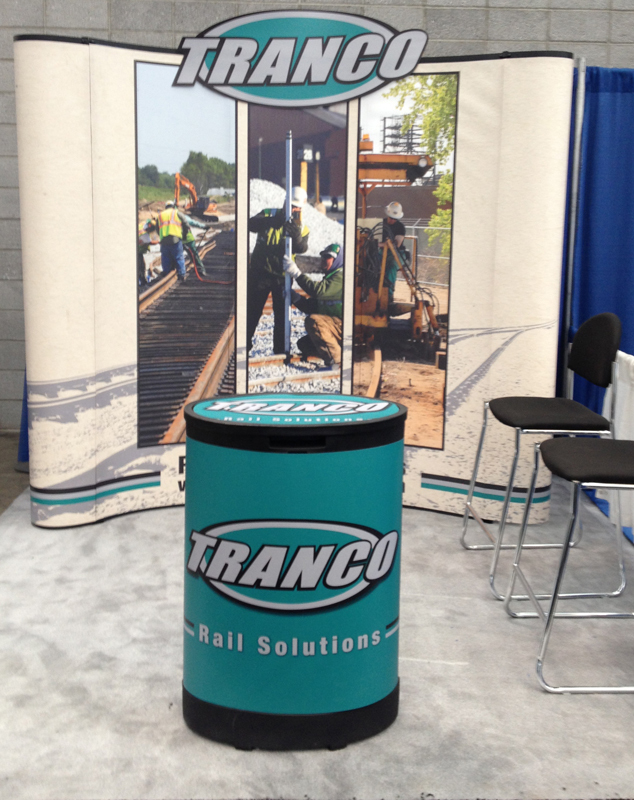 We enjoyed exhibiting everything that Tranco has to offer, and we had the opportunity to showcase our new booth design. In all, attending the Expo was very exciting for Tranco, we were happy to be there." Bill Lucaitis (right), President of Tranco Industrial Services, and Tim Beck (center), Vice President of Tranco Industrial Services, Inc., accept the NWIBRT Safety Recognition Award from Joe Coar (left), Chairman of the NWIBRT Executive Committee. Tranco received the honor during the CAF/NWIBRT Safety Awards Banquet in Merrillville, Ind. MERRILLVILLE, IN – Tranco Industrial Services, Inc. was honored recently with the Safety Recognition Award from the Northwest Indiana Business Roundtable. 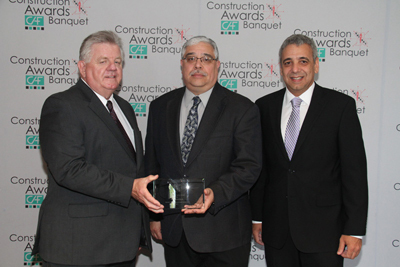 The company received the honor at the Annual CAF/NWIBRT Construction Awards Banquet at Avalon Manor in Merrillville, Ind. Bill Lucaitis, President of Tranco Industrial Services, said it was an honor for his company to accept the accolade. The Safety Recognition Award goes to companies that have accomplished lower than national industry average numbers for Days Away from Work (DAFW), Days Away, Restricted and Transferred (DART) and Total Recordable Incident Rate. Tim Beck, Vice President of Tranco, added that the award reflected well on both the company’s clients and staff. “This is just a good indication of the dedication that all of our employees have to safety, and the commitment that our customers have to it as well,” he said. Tranco provides expertise in railroad track design, construction, maintenance and emergency repairs, and takes pride in completing projects on time in a safe work environment that meets the highest standards. The Construction Advancement Foundation (CAF) and the Northwest Indiana Business Roundtable (NWIBRT) host the Construction Awards Banquet each year to recognize the significance of safety in the industry, and to praise companies for excellence and economic impact in Northwest Indiana. NWIBRT is an independent, non-profit council of local firms committed to the improvement of construction and maintenance projects in Northwest Indiana. Its purpose is to promote safety, quality and cost-effectiveness by all parties associated with the local area construction and maintenance industry. CAF represents Northwest Indiana union contractors and works to promote the interest of the union construction industry through labor relations management, government relations, education, training, safety and workforce development. Burns Harbor, IN – Tranco Industrial Services, a railroad construction and maintenance company, was awarded the 2012 Contractor Safety Award, Category 3 at the Gold Level, by The National Railroad Construction and Maintenance Association, Inc.
Based on criteria established by the NRC Safety Committee, this award recognizes the distinguished performance by Tranco Industrial Service’s employees and management in the creation of a safe work environment within the Railroad Construction Industry. In Category 3 of the Safety Awards, only six companies across the country received the prestigious Gold Level award from the NRC. “These companies represent the very best of the NRC and the entire railroad construction and maintenance industry,” an NRC Spokesperson said.